Radio Teentaal Hindi Live Online . 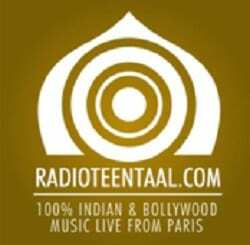 The Radio Teen Taal is a webradio that broadcasting for Indian people from Paris . Listen Over 100 Hindi FM internet Radio Stations Live Streaming Online. 100% Indian And Bollywood Music, Bollywood Hits, Indian Songs.